Tim & Hannah were super fun to work with! 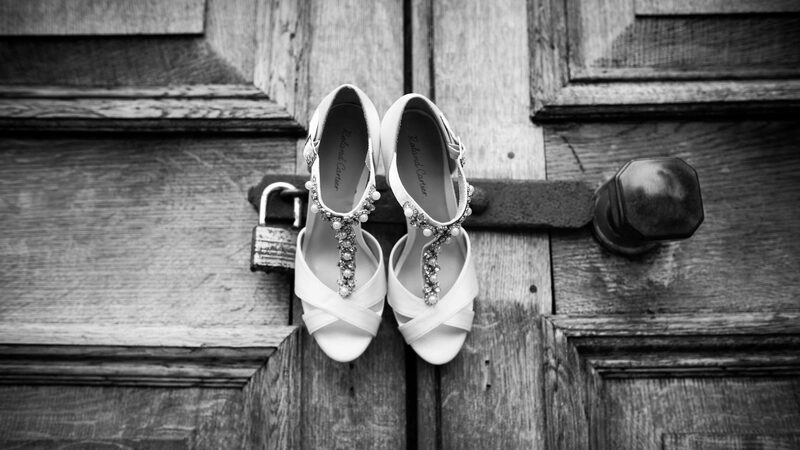 Their Wedding Day was incredibly stylish (as you can see..!). There was a perfect balance of Hannah & Tim maintaining the traditional values of a Wedding. They started their day with a beautiful church ceremony & then headed to the most gorgeous barn for the rest of their big day. Tim & Hannah are one of many of our couples who met online. They described their meeting as somewhat ‘unromantic’ but we disagree.. If it works, it works..! However, what was certainly very romantic was their engagement. When these guys headed to picturesque Madeira, Tim ended a day of hiking down on one knee. He found the perfect spot on a secluded beach where they were alone; surrounded by phenomenal views. It doesn’t get much more romantic than that right..! Whilst getting to know Tim & Hannah, we discovered they are real outdoorsy people who love adventure. They love nothing more than hiking, exploring & getting out and about in their camper van. When we met them for an engagement shoot, it was exciting to head to Hannah’s horse stables. What was even more exciting was to be joined by their dog… I mean, we can’t have favourites but the photo of Hannah, Tim and their pooch is absolutely up there at the top of our list…! So when it came to planning their big day, Tim & Hannah’s wedding was very much based around their incredible venue. Hookhouse Farm is literally a working farm tucked away in Outwood, Surrey. It was our first time working at this venue and boy were we thrilled! When you hire this venue, it is exclusively yours to decorate and take control of. The wooden barn created a blank canvas for Tim & Hannah. They decided to go with a pastel colour theme and continued to have a heavy emphasis on wood. The groomsmen had wooden cufflinks featuring co-ordinates of a memorable place between them and Tim. The bridesmaids also had the same in the form of bracelets.. Amazing! We must say, the accessories for the barn were some of the best we have seen (see the photos, we know you’ll agree). From the table plan, to the wooden signing board, the cake board, and the beautiful crockery – absolutely gorgeous style. Spot on guys! Ok.. so.. the weather..! It rained all day for Tim & Hannah but this didn’t matter one bit! In fact, we had a great deal of fun. It rained all day on our own wedding day and everyone tells us it is ‘good luck’. We agree!! Suits: Made bespoke in India!